Be the first to hear about their new releases and deals. 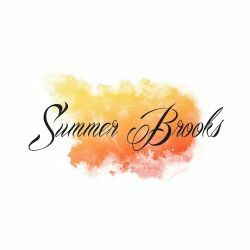 Download the Booksprout app and search for Summer Brooks today! Author Summer Brooks lives in Chicago in her cozy loft and is usually found lost in cozier worlds while constantly making up stories inside her head. Alpha males who treat their women like queens. Superbad boys with hearts of gold. And of course, second chances, because who doesn't deserve those? The only thing she loves more than her readers is pizza!